We all love to hang outdoors when weather permits, especially in the summer when get-togethers are synonymous with backyard BBQs and picnics. However, if you’re lucky enough to have an outdoor pizza oven, then why not throw a pizza party instead? Come to think of it, you can actually set up a pizza bar anywhere you have a portable grill. The #1 precaution is food safety. With hot summer temperatures, we must always make sure that we are able to keep our ingredients safe. Step 1. 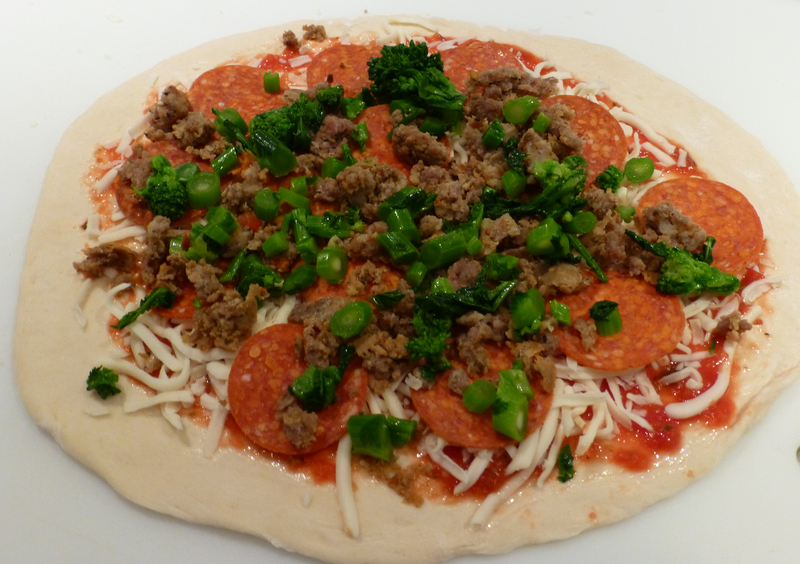 Start with a list of protein ingredients for your pizza bar– hot Italian sausage, pepperoni, diced BBQ chicken. Add vegetables–mushrooms, onion confit, roasted red peppers, olives, artichokes, etc. Don’t forget a variety of sauces—red, white and pesto perhaps. And of course, your cheeses—shredded mozzarella, asiago, or your favorite blend. Remember to take into account how many pre-made pizza dough balls you will have to store as well. Step 2. Calculate how many ingredients you have and based upon the quantity of guests you will be serving, figure out if the ingredients will best fit in 1/9, 1/6, ¼, 1/3, ½ or full size pans and what the best depth would be for the quantity of ingredients you need to hold (2 1/2”, 4”, 6” or 8”). Cambro makes clear polycarbonate or translucent food pans in all of these sizes and depths for your convenience. Make sure you use FlipLids® too. These will allow you to easily access the ingredients while the lid is on and keeps bugs and contaminants out at the same time. Step 3. Group same sized pans together and sketch how many of each type would fit in a Cambro top loading carrier. The size of the pan tells you how many. For example, if using 1/6 size pans, 6 will fit in a top loading carrier, and 9 of the 1/9 pans will fit, etc. Determine how many carriers you will need. Step 4. Now we need to figure out what type of carrier to choose based upon the depth of the pans you will be using. 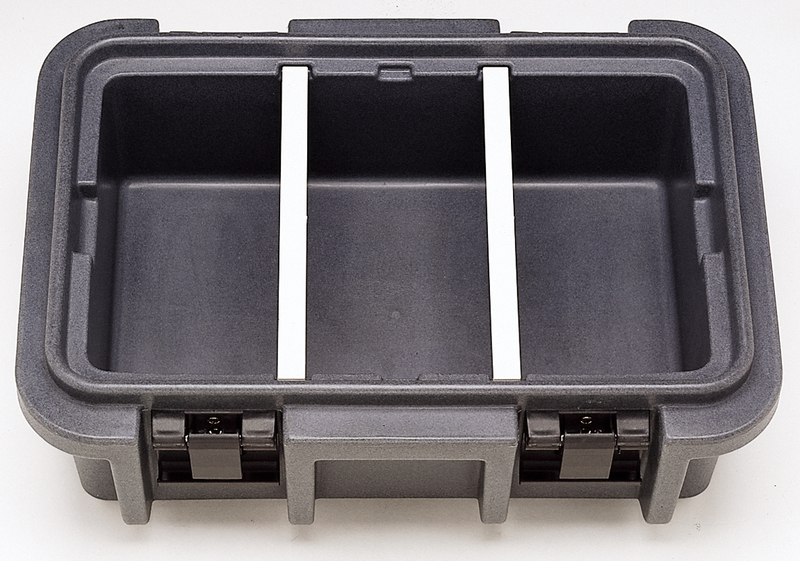 The UPC140 (Ultra Pan Carrier) holds up to 4” deep pans. The UPC160 will hold 6” deep pans. The UPC180 will hold 8” deep pans. Step 5. The dough balls will hold nicely in full-sized pans and depending on the size of your event, Cambro has front-loading carriers or carts that can help. 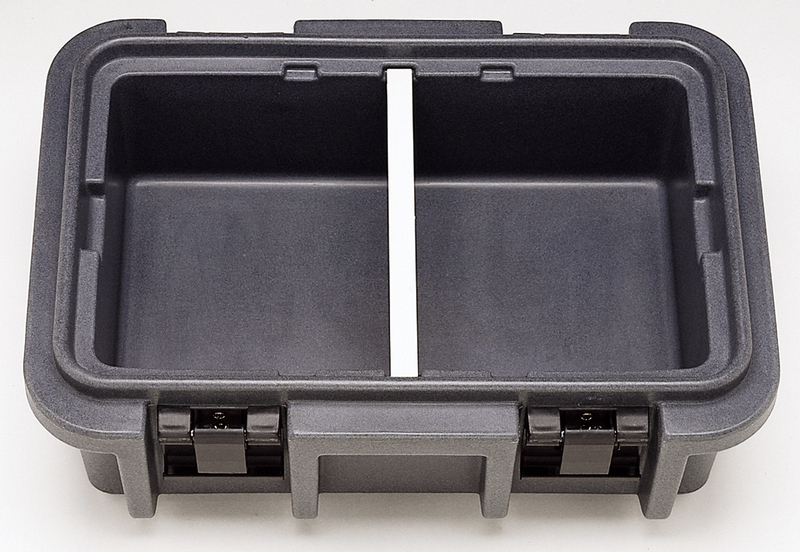 For smaller quantities of (3) 4” deep pans, start with the 300MPC front-loading carrier. For (4) 4” deep pans, use the UPC400. These 2 units are convenient if you have a van. However, if you are hosting a large event with several hundred people you can move up to a bigger cart such as the UPC800, 1200 or 1600 or the Combo Cart®Plus, but be sure you have a truck with a lift gate. Step 6. Next, make sure you keep the ingredient pans nicely chilled as they will be exposed for the duration of your event. You can either put ice in the pan well or the simpler and less messy way is to use Camchillers®. The CP1210 is ideal for top-loading carriers. Simply freeze overnight and place at the bottom of the unit. The CP1220 is ideal for the larger front-loading carriers and carts. Place the Camchiller at the top of the front-loaders as cold air is heavy and will drop. Camchillers will keep your ingredients nicely chilled for many hours without ice. TIP! To maximize the cold holding of your ingredients, you can also put your carriers in the walk-in freezer (ideally) or cooler before loading ingredients. TIP! If you are holding food pans together with a Camchiller in the top-loader, make sure that you move up a size in carriers to make room for the Camchiller. For example, if you are trying to fit a 4” pan in the UPC140, there will only be enough room to fit the 4” deep pan. You need the UPC160 in order to fit a 4” deep pan along with the Camchiller on the bottom. Similarly, for front loading carriers, if you need to fit (3) 4” deep pans along with a Camchiller, the 300MPC will not fit everything. You should go up in size to the UPC400 instead. Step 7. Line up the carriers on a table and voila, you have an instant pizza bar! TIP! For high-volume events, the Combo Cart Plus is a great cart to have on hand. 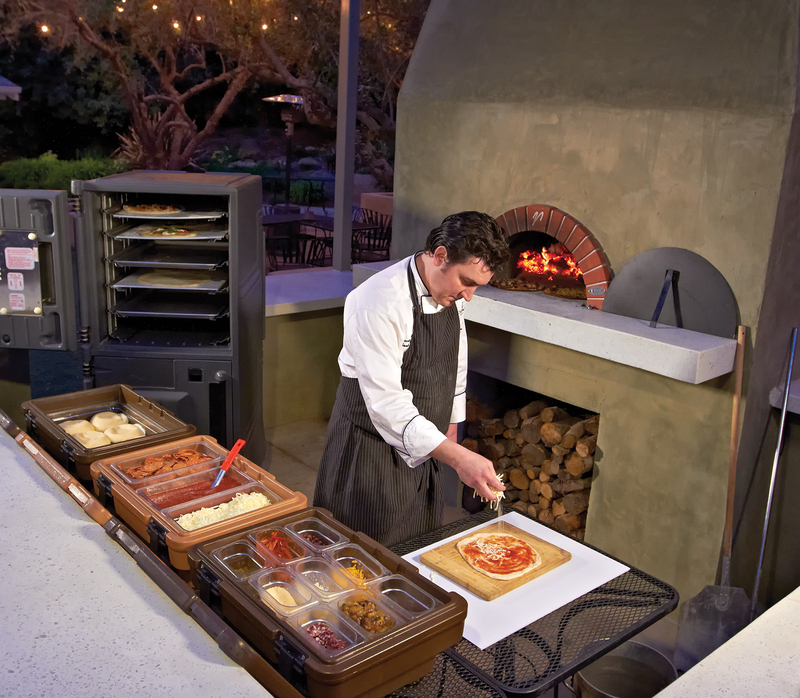 You can put unbaked, pre-set pizzas on sheet pans in the Combo Cart Plus (CMBPTH), bottom compartment. After baking, hold hot pizzas in the top compartment. So bring on the Meat Lovers combo with red sauce and roasted peppers, or chicken with pesto and artichokes. You are the Pizza Maestro with this portable pizza bar. Have events? Will travel– anytime, anywhere!